Skateboarding Cage Monster by TET. Around the beginning of December 2018 I started work on a new CrazyTalk Animator 3, G3 character of my own original design. Known as 'The Cage Monster' readers of my TET Life blog may recognize him as the Skatepark mascot for the long since closed Cage Skatepark. I didn't document the creation process in this blog, as I've done with other characters in the past, as I didn't want to start yet another series on a new character that I may or may not complete. At this stage I have completed a full G3 'side' view character rig which I managed to finish faster than usual because I could simply copy and paste all the hands and facial features from my G3 color monkey characters (that this character was derived from and which you can purchase in my Reallusion Marketplace store). The Cage Monster will become available in my store when I've completed a front view character rig and his fully animated skateboard prop. 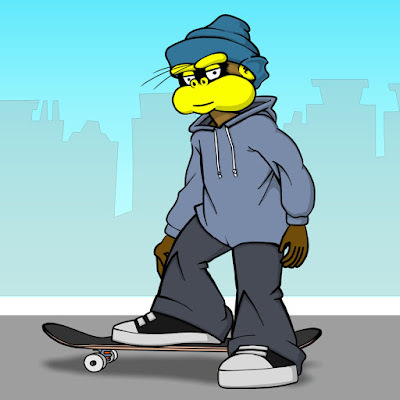 The skateboard will feature multiple angle sprite views so he can perform skateboard tricks like shuv-its and kickflips. While you may think you'll never need a skateboarding Cage Monster for your animations, his body and hands are basically human, meaning you could swap his monster head out for something more human with minimal effort. I hope to finish the character within the first quarter of 2019. 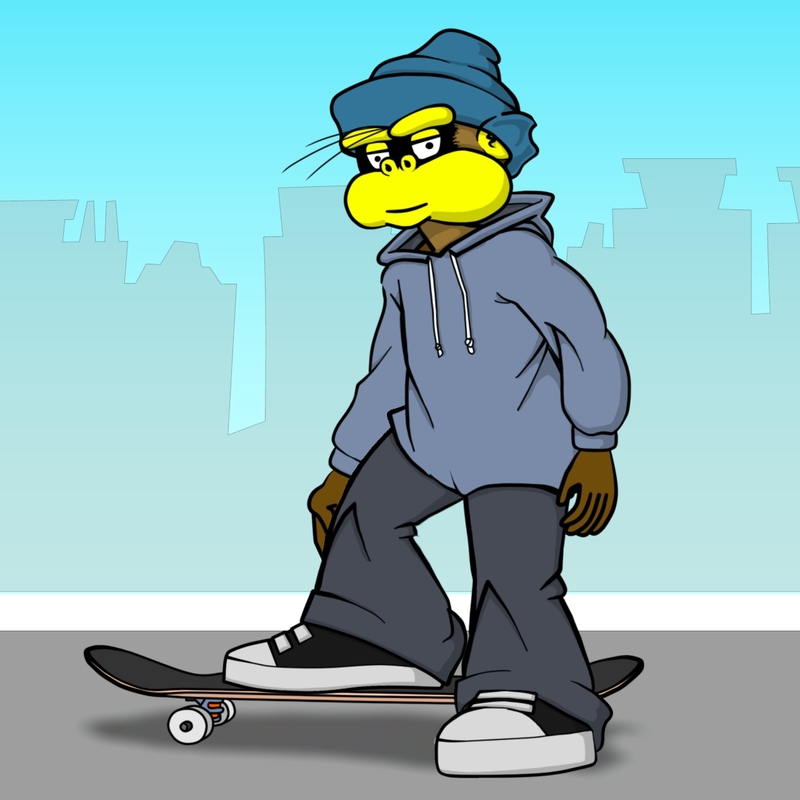 For now you can get a sneak peak of him in action in my looping test animation of him skateboarding below. Cage Monster Skateboarding Test Animation.